Join Wreck-It Ralph as he escapes from his arcade game and goes on a wild internet adventure! Say hello to old friends, such as Vanellope von Schweetz, and meet tons of crazy new characters. Explore wonderful worlds, learn about cool vehicles, and relive the movie's most unforgettable moments. 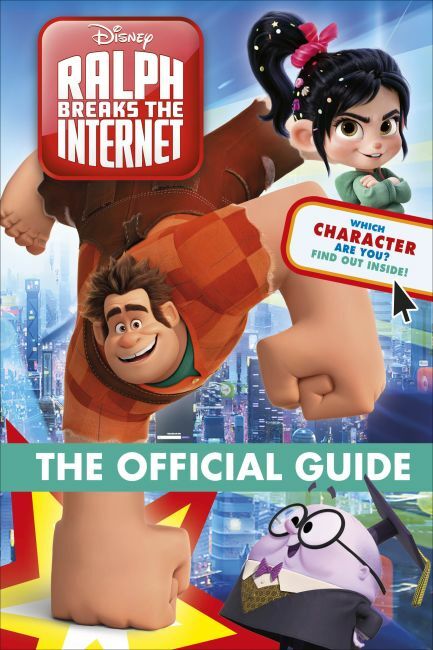 Discover everything you need to know about the awesome new Disney movie, Ralph Breaks the Internet, in this fun-packed, fact-filled book. Ralph Breaks the Internet: Wreck-It Ralph 2: The Official Guide is the ideal companion to Disney's Wreck-It Ralph movie sequel.